The Windows Store is Microsoft’s big bet, combining software purchases, updates, and installs into a single place. Although it continues to grow, it still doesn’t offer anywhere near the number of big name apps as iOS or Android. Windows still has a massive library of applications, or course, but they are bought, installed, and updated outside of the store. Clearly one of the ideas is that Microsoft will take a cut on any app sales in the store, so there is motivation for them to make this succeed, but for the end users, it’s been well proven that a solid Store model works for ease of use, and especially updates. Recently (and possibly today) Adobe Photoshop Elements came to the Windows Store, as pointed out by Paul Thurrott and Windows Central. This is an important app for the Windows Store, where previously only a much lighter version called Adobe Photoshop Express was available. Elements is not the crown jewels of Adobe’s suite, but it’s still an app that many people use. 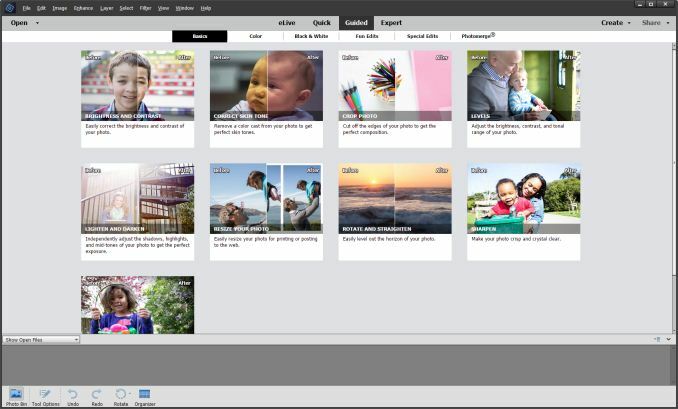 Although we don’t have official confirmation of this, Adobe Photoshop Elements is almost certainly using Microsoft’s Desktop App Bridge, codenamed Project Centennial. 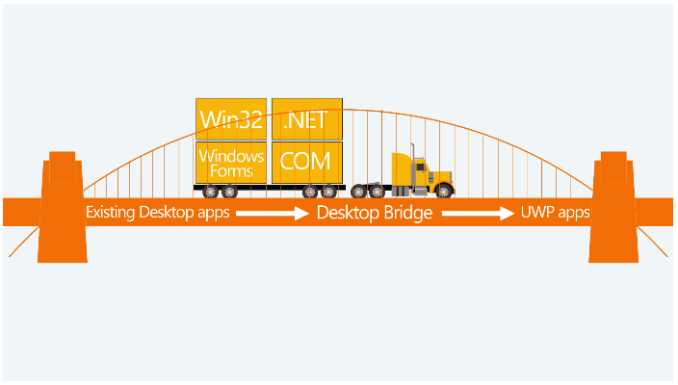 This bridge allows developers to bring older Win32 apps to the Windows Store, and if they so choose, begin to convert them to the Universal Windows Platform. Although Centennial was announced quite a while ago, it wasn’t until the Windows Anniversary Update that Windows had all of the frameworks required. Photoshop Elements certainly isn’t the first Desktop Bridge app to make it to the store, but it’s surely one of the biggest. By offering this through the Store, end users get the benefits of the store. The app is automatically updated through the store, so you won’t need any Adobe update services running on your PC, and best of all it can be installed on up to ten devices, rather than the two activations that you would get if you purchased this as a traditional software download. Centennial also packages the app into a container, so the install process is incredibly quick. Elements doesn’t need to install for thirty minutes as it writes files all over your PC, and in your registry. Everything is kept in the container, which also makes uninstall very simple and much cleaner. I just installed Elements, and after the download was complete, it installed in just a few seconds. With the launch, the software is also on sale for a limited time. If the Windows Store is going to take off in a meaningful way, apps like these are going to be an important first step. With Windows 10 on over 400,000,000 devices now, there is an incentive for developers to leverage tools like the Desktop App Bridge to utilize the store. For me, the Store model has enough benefits that I would prefer to purchase an app like this through it. It’s worked before on the PC with stores like Steam and Origin as well, and by bringing big name Win32 apps to the store, Microsoft has an important tool to bring existing devs into their new platform.